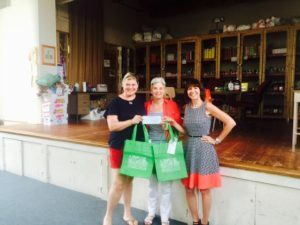 A Simple Gesture Norwell prides itself on providing simple logistics to get donated food from homes to the Food Pantry for very little cost. We utilize Town Hall for our collection center, engage volunteer drivers, sorters and shelving people, and of course collect tons of food every other month from over 200 families in Norwell, with an estimated average value of $5,000 per pickup. . Many of our initial start-up legal and printing expenses were donated by a few generous local businesses. Our expenses are low. We run a tight ship. Volunteers do the heavy lifting – literally. But we do have expenses, including procurement of hundreds of cool green bags, web site and email hosting charges, state and federal fees and a variety of other miscellaneous costs. The founders have covered all these expenses to date, so any gift or donation will go only to future expenses, and is greatly appreciated. Not a cent donation will go to overhead or staff or administrative expenses. We’ve got a great stable of volunteers! If you help local organizations financially, we hope you’ll think of A SImple Gesture – Norwell, too. Here’s how: Mail a check payable to A Simple Gesture Norwell, PO Box 822, Norwell, MA 02061. We will provide written acknowledgement for your tax documentation – we are a recognized 501(c)(3) – and our sincere thanks. Norwell Womens Club donated to A Simple Gesture Norwell, to help us buy replacement cool green bags for your food donations.